“ The rates of obesity and insulin resistance syndrome in our communities are now so high that the majority of the adult population over 35 will be affected. Palyaringkunytjaku – Towards Wellbeing is the brain child of Inawantji (Ina) Scales, a young Pitjantjatjara woman from the APY Lands. 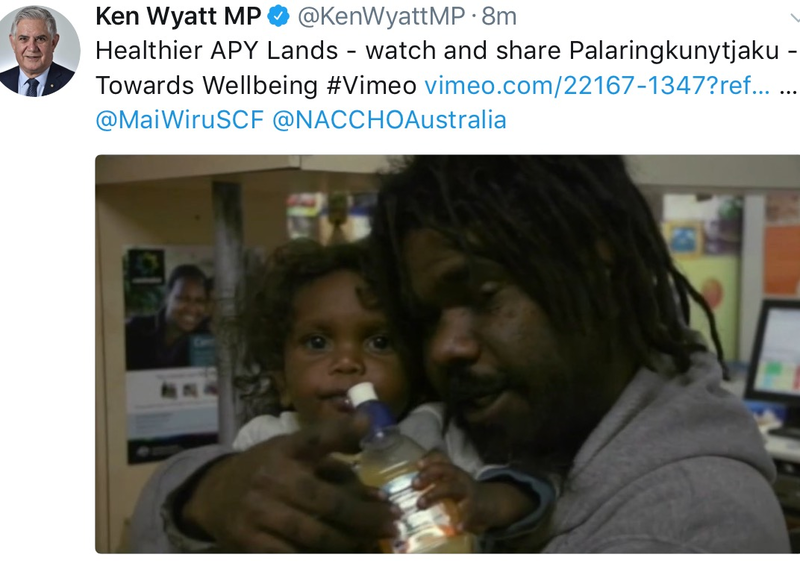 Ina has seen too many family and friends, too many Anangu (people from the Anangu Pitjantjatjara Yankunytjatjara Lands) die from diet related illnesses. 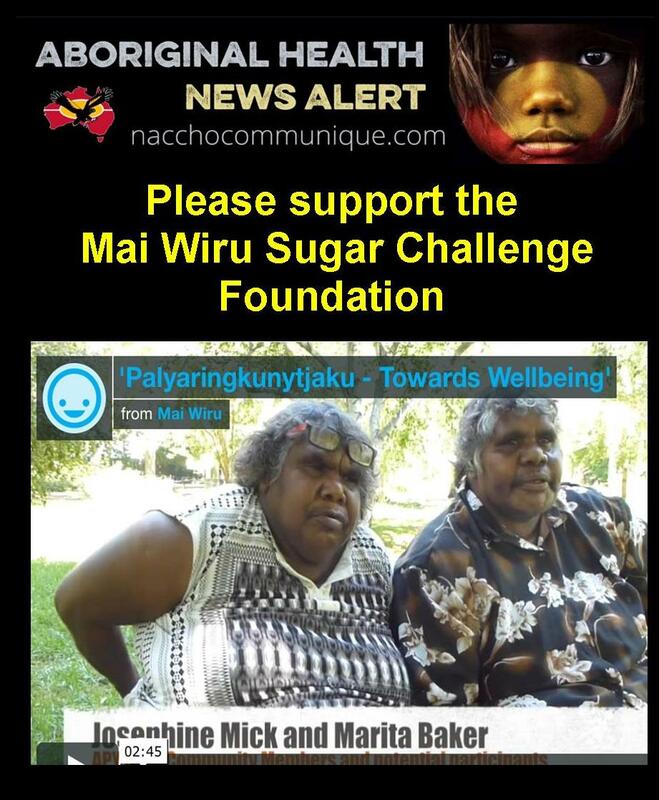 In 2016 Ina met with Damon Gameau, the founding director of the Mai Wiru Sugar Challenge Foundation. She told him of her sadness from watching so many people become ill and pass away, she also told of her personal experience from visiting Living Valley Springs and the happiness she felt at now understanding the solutions. Ina asked Damon for his help, and the Foundation’s help, to share her experiences with other people on the APY Lands. Here we are today, raising funds to send 10 senior and influential women to an intensive health and nutrition retreat where they will learn and be able to personally experience firsthand, the benefits of healthy eating and living. By providing a culturally appropriate setting with language interpretation, we will free participants to focus, distraction free, on learning the extensive information that will be provided. These strong community leaders will then be able to return to community to share their experiences and become healthy living champions. This is a 2 week trip with an interpreter and staff member to support the women through their learning and experiences, and further to be able to support the women on their return to community. This will also ensure longer lasting results and help participants maximise their learnings and minimise any stumbling blocks they come across. Our aim is to have an intensive and immediate impact for these women, enabling them to experience the benefits of healthy eating and living, and to expand their understanding of the impacts of foods on their bodies, to understand the how and why foods have such influence over us. In their roles in community they can then spread the word about their positive experience and help others make healthier choices. The participants are being selected based on their location and their capacity to influence on their return. As a result, these women will become healthy living champions, sharing their knowledge and experience in their regions. Hold a fundraising event. Be creative – a donation box at your work for a month, hold a concert, a dinner party with tickets, a raffle, a physical challenge among your friends, a percentage of your office mates salaries for a month. Design your own style of fundraising. By hitting $63,500 we can make Ina’s dream a reality and take 10 participants from the APY Lands on this program, means Palyaringkunytjaku can go ahead as Ina hoped. There are always many people from the APY Lands who would benefit from this experience,, therefore the amount we raise will directly impact on the number of people Ina and the Mai Wiru Foundation are able to support. If you would prefer to make a donation by bank transfer/direct deposit, please see our bank account details below. Please advise by email – info@maiwirufoundation.org – when donation is made so we can issue a tax receipt. Thank you.